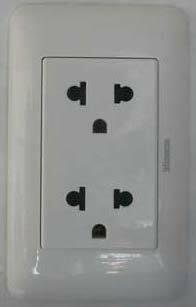 Most countries in the world run at 220 volts and 50 cycles/second (Hz), so the only matter for most electrical appliances you may bring with you is getting your plug to fit into the Thai wall jack -- a plug adapter. However, if you are coming from a 110 volt country, then you should not use the little, compact 220 to 110 V converters for anything except the smallest things, like phone chargers. Anything which takes much power will usually overheat the adapter and burn it out, often resulting in 220 volts frying your equipment. For anything which takes much power, you need a large transformer, which you can find in major department stores in expat areas. Electricity is sometimes a simple matter, but other times more complicated. For many years in the 1990s, I helped manage electrical grounding/earthing projects for industrial purposes, as well as did it all myself for friends and associates in residential situations. Most new, modern apartments/condos and houses are grounded/earthed, but if you need any help after you move in, then ask ... if you are a customer of ours.